I am waiting for an estimate, so I have no idea on the cost, but here is my plan… BIG tanks. So that isn’t my only plan, but it is a start. First, I am going to see if a well can be dug so we have a clean water source. Second, big tanks. The tanks would serve as reserves for when there isn’t water. The order of tanks being placed will be… operating room, obstetric ward, surgical ward, pediatric ward then medical ward. The number of tanks I put in will depend on how much money is given. I am also considering putting in water heaters so that, well, people can have warm showers. I do not have a solution for the clean water yet. At this point we boil all the water that is going to be consumed. I was going to wait for the estimate, but I don’t know when I will get it. With Christmas and the end of the year quickly approaching, I wanted you all to know about another opportunity… to give water for Christmas. Less than 1/3 (about 31%) of the population has access to clean water. 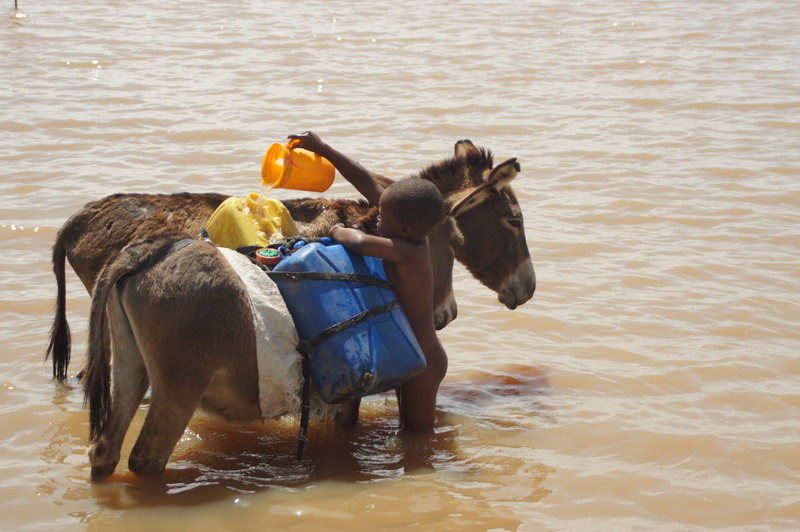 According to UNICEF, 75% of diseases in children in Ethiopia originate from the environment… water contamination (dysentery), water born diseases (schisto), diseases from lack of water (scabies, body lice) and water related insect vectors (malaria). 90-96% of the water that reaches the Nile in Egypt comes from Ethiopia. Women and children are usually the water fetchers. It is estimated that some may walk up to 6 hours a day for water for their family. Do we send money through the link on the page? The world vision thing? Yes. I forgot to include that in the post… smart of me! On the right is a place to donate online. You go to the link (https://www.samaritanspurse.org/index.php/giving/wmm_doctors/), and type in my last name, HAIL. Then it asks how much and for your info. The other way to give is by to send a check to my account at World Medical Missions. We will get on it. I am working on a clean water project in Haiti. Look at Sawyer’s Point One filtration system. Just Google Sawyer Point One. They have a “whole house” or institution sized system that costs about $900US. Smaller filter go for about $50US. Another system is from Fountains of Hope (FountainsofHope.org). They are out of Indiana but do global systems like what you are talking about. Their system uses big tanks and a chlorinating system using one cup of salt converted into Bleach and Sodium Hydroxide (both byproducts you could use at the hospital) using a car battery that is charged by a solar panel. That one cup of salt is enough to sterilize up to 5000 gallons of water. It is pricier, about $5000 per system. Thank you for the information. I just looked at the website. Looks like an great product. We will have to see how much money is raised. And the $900 one looks perfect… simple is always good. For sure, I want to help! If there is more than one way to send a donation, or if I need to specify somewhere, what the donation is for, let me know. I will also pass this along to others I know as well. You are an amazing blessing, and I count it a privilege to know you, Steph. I am praying that you will receive the clean water that you need for Christmas. You are always thinking about what you can do next. Those people are so blessed to have you there. Blessings to you for a very Merry Christmas!! What a blessing to have an opportunity like this to give water in Jesus’s name! Check will be coming by snail mail.